Who can you turn to when the water main at your Gaithersburg breaks? Look to Master Plumbing for quick, expert service! Gaithersburg, divided into halves by Interstate 270, has been nationally recognized for its economic and ethnic diversity. This cosmopolitan character shows itself in the homes that have been made there! Our homes are an expression of our personalities and everything we hold dear. So it can be a little frustrating when the parts of our homes don’t work the way they are designed to. The plumbing system, in particular, is one of the essential parts of a functional home. When your plumbing situation needs to be addressed promptly, who should you turn to? Master Plumbing is the plumber of choice in the Gaithersburg area! Our expert plumbers will be ready to assist you no matter what the issue might be. Quality is at the forefront of what we do and we have been recognized by Angie’s List and Best of Bethesda for our work. Here are just a few of the essential plumbing services we can perform for your Gaithersburg home! The average age of a water main is around 60 years, which may sound like a long time until you realize the age of some of the more historical homes in Gaithersburg! When these pipes burst, it can cause a huge disruption and could lead to even more serious problems if not addressed promptly. 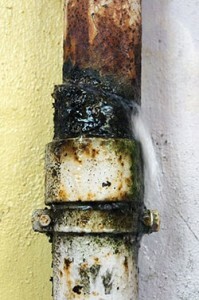 Usually, water pipes will display subtle signs before breaking, such as a loss of water pressure or a hissing sound coming from the general area of the main. These signs are not immediately apparent unless you’re looking for them, so trust Master Plumbing to come out and periodically inspect the water main at your Gaithersburg home to make sure everything is working fine. If the pipe breaks or needs repair, we will take the composition of the materials, the age of the pipe, and any previous repairs into account before recommending a fix. You can count on a fair estimate for the work and a detailed outline of our proposal, and we stand behind our work 100%. No matter what plan you decide to take, you can rely on our expertise to do the job quickly and completely! No matter what kind of plumbing services you may need in Gaithersburg, you can rest easy with Master Plumbing working on your home’s plumbing. We will give you a fair price for the work that we do and pride ourselves on our honesty, integrity, and courtesy. Your satisfaction is our number 1 priority! Give Master Plumbing a call at (301) 650-9100 or contact us online to get more information on how our expert plumbers can help you with your Gaithersburg home’s plumbing system. We have received Angie’s List Super Service Award recognition for plumbing and drain cleaning every year since 2007, in addition to the Best Plumber award from Best of Bethesda. We are fully licensed, bonded, and insured and our service is unparalleled. Give us a call today—you won’t regret it! To see examples of our projects, follow us on Facebook, Twitter, and Pinterest.